IMPORTANT: Avalon Angkor cruises must be reserved over the phone. Call us for more information. 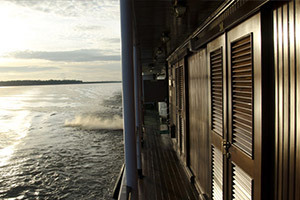 Avalon Angkor, launched in 2012, spends year-round cruising up and down the Mekong River in Cambodia and Vietnam. This is quite simply the best way to visit the Mekong River valley. Avalon Angkor is the first and only ship in the industry that can traverse the entire Mekong River between Siem Reap and Ho Chi Minh City and back. Guests can enjoy all the views of the river without having to transfer to motor-coaches to complete their journey. With such a small size, at maximum capacity only carrying 32 passengers, Avalon Angkor is allowed to provide and very personalized and custom experience for every passenger. Every need or want can be immediately taken care of by one of 18 staff members who are never more than a quick call away. 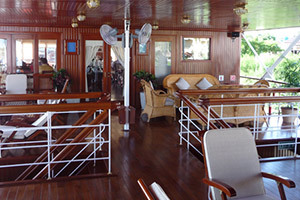 With an open air lounge, spacious restaurant, and full service bar, there are many ways to relax aboard Avalon Angkor. Expert tour guides and local experts will help passengers learn all the wonderful things there are to know about the Mekong River valley. 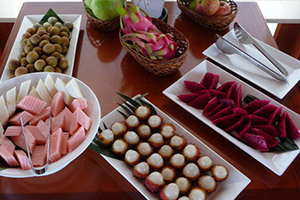 Chefs use fresh local ingredients to cook traditional Vietnamese and Cambodian dishes which allows guests to experience all that Southeast Asia has to offer to the world. Avalon Angkor is the only river cruising ship in the industry that can travel the entire length of the Mekong River between Ho Chi Minh City to Siem Reap (and vice versa). This eliminates over 7 hours of motor-coaches and transfers! 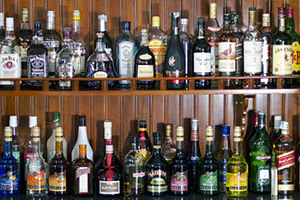 This means more time relaxing and enjoying the wonderful Mekong River valley. 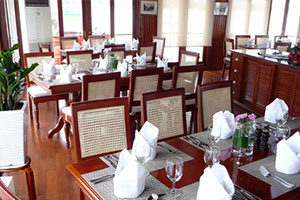 Coffee, tea, soft drinks, and local beers/spirits are all complimentary on Avalon Angkor. This means guests can spend more time enjoying their vacation and less time worrying about a bar bill. 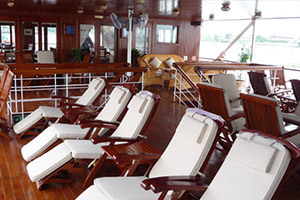 Huge Discounts & Low Price Guarantee on all Avalon Angkor Cruises! Book any Avalon Angkor cruise with us and you'll get the best deal possible, regardless of the ship or sail date! Because of our huge price discounts and "Low Price Guarantee," nobody beats our Avalon Angkor cruise prices, so look around and you're sure to find the best Avalon Angkor cruise deal possible when booking with us! We do not charge booking fees on any cruises! You're sure to enjoy an affordable Avalon Angkor cruise when booking with us! 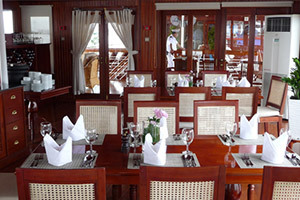 Our special offers on Avalon Angkor cruises may not be combinable. Certain restrictions apply to each offer. View terms and conditions during the online booking process. All staterooms onboard Avalon Angkor feature full size bathrooms with showers, a Queen size bed that can be separated into two singles, full size closet, and a writing desk with vanity. Floor to ceiling sliding glass doors open directly onto the deck veranda. 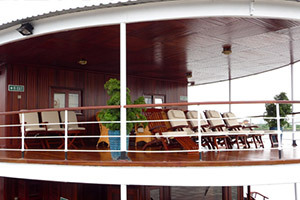 The deck plans of Avalon Angkor provided on this page are subject to change. We reserve the right to correct errors. Please verify all information with Avalon Waterways directly.